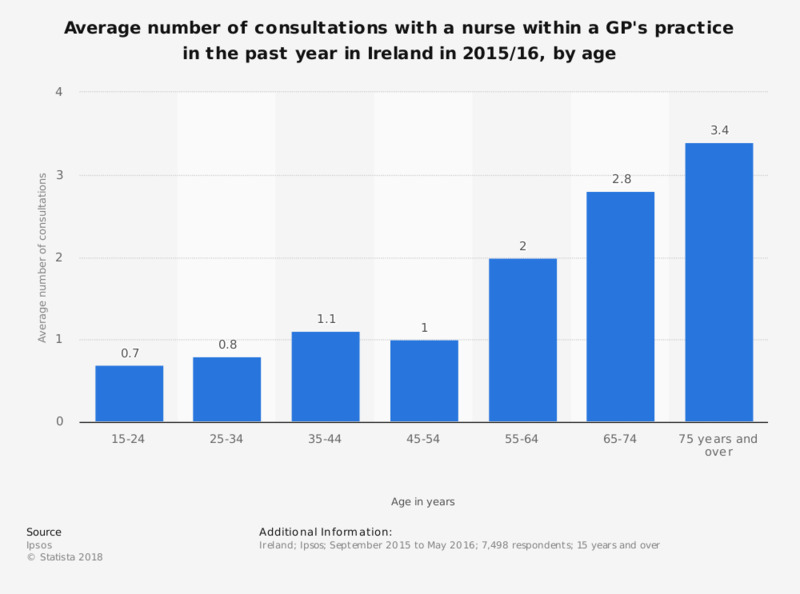 This statistic displays the average number of consultations individuals had with a nurse within a GP's practice in the past year in Ireland in 2015/16. Individuals aged between 55 and 64 years had an average two consultations with a nurse in the past year. In general, how often do you visit/consult with an audiologist for yourself? In general, how often do you visit/consult with an optometrist/ophthalmologist for yourself?